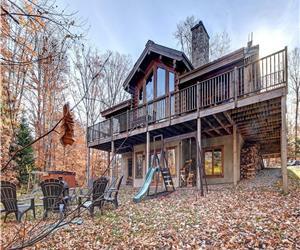 LUXURY COTTAGE IN HEART OF LAURENTIANS WITH JACUZZI BATH TUB & FIREPLACE! 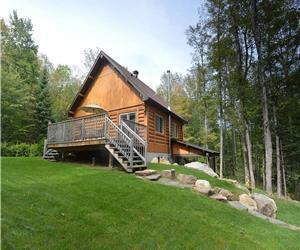 CEDAR CREEK, PETIT TRAIN DU NORD CLOSE TO NATURE AND ALL THE FUN! 100$ discount from April 18th to April 22nd. 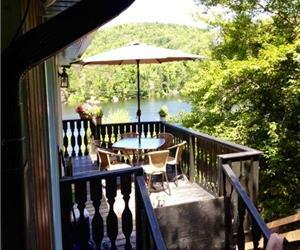 Price starts at 400$ for 2 nights and at 525$ for 3 nights (discount included). 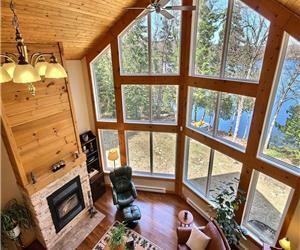 3 STORIES COTTAGE ON GOLDEN LAKE IN VAL-DAVID FOR 2019-2020 WINTER !